TAA (Vic) will deliver a range of educational and issues-centric events in 2019 to ensure members have direct access to a range of key industry stakeholders. Here, they will be able to discuss challenges and opportunities of relevance to them. overview of TAA (Vic) events and those of key industry stakeholders. It includes school and public holiday dates. The calendar will be continually updated as more relevant events and activities are confirmed. It provides a useful snapshot for TAA (Vic) members, to assist them with planning and budgeting activities. 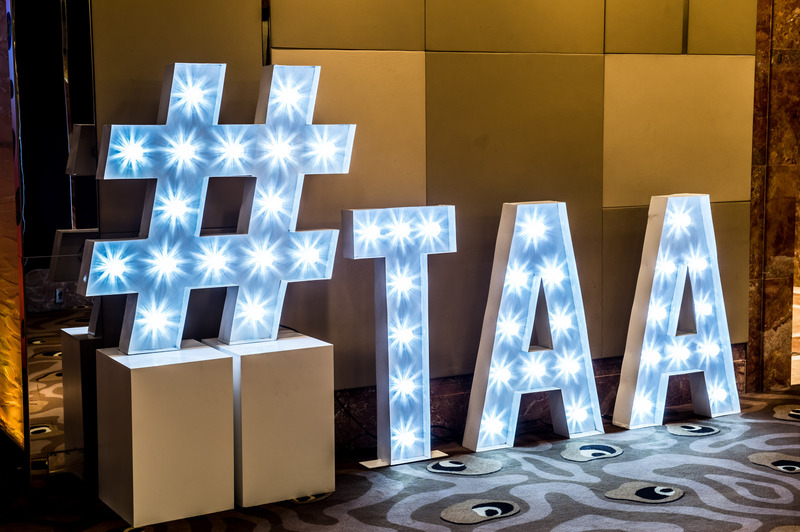 The 2019 TAA (Vic) Accommodation Awards for Excellence gala dinner and celebration of venue and service excellence will be hosted at Grand Hyatt Melbourne on Thursday 20 June 2019 (6pm for a 6.30pm start). This year, TAA (Vic) has streamlined the voting, nomination and judging process, with the development of an event app. By downloading the app to your smartphone or desktop computer members will easily be able to nominate their property or individuals in the above mentioned categories. Judges are also currently using the app to assess properties and individuals against pre-determined criteria. At the completion of the event, judge’s assessments will be made available to category finalists for review, to assist with training and coaching. Please click on the TAA (Vic) Awards link to download the app. One of the most celebrated occasions on the TAA (Vic) events calendar is the TAA (Vic) Accommodation Awards for Excellence event. This event recognises venue excellence and superior service provided by staff in accommodation properties across metropolitan Victoria. Rewarding and recognising excellence at all levels of the industry is very important and is central to the way hoteliers motivate and engage their associates. The diversity and quality of Victorian hotels is definitely something worthy of being celebrated. Success at the TAA (Vic) State Awards typically translates into the opportunity for the winning hotel to enter the AHA National Awards for Excellence event and pit their hotel’s amenities and service standards against Australia’s very best hotels. Does a tailored opportunity to prominently place your company name in front of 500 guests, including hotel owners and general managers (decision makers), their staff, industry dignitaries and key stakeholders sound appealing to you? of remaining event partner spots that are available for our 2019 event. Can you spot yourself in a crowd? Take a look at our Rogues Gallery from the 2017 TAA (Vic) Accommodation Awards for Excellence event, held on Thursday 22 June 2017, at the Grand Hyatt Melbourne. Nomination and entry details for our 2019 TAA (Vic) Accommodation Awards for Excellence event will be announced in late 2018.